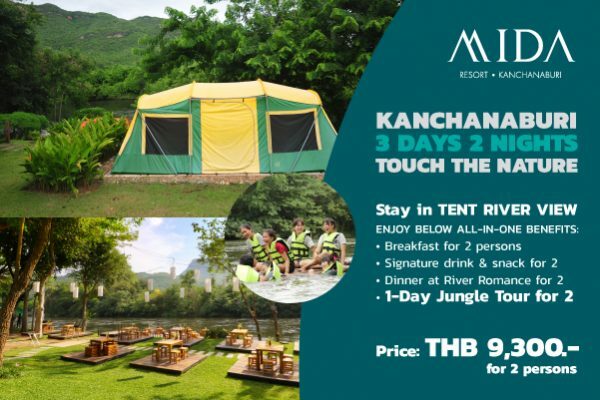 A sense of Natural touch Travels in Kanchanaburi 3 days 2 nights. 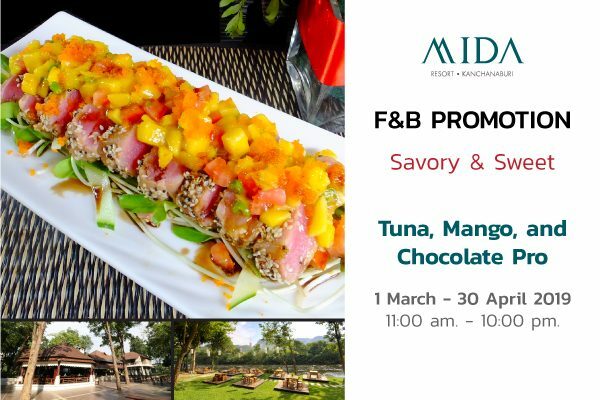 Mida Resort Kanchanaburi offers special fun package. Here’s the most romantic moment at River Romance and experience the natural atmosphere with the Jungle Tour while staying at the air-conditioned Tent River View. Sip Savor every touch of happiness. Both delicious from food and beverage. 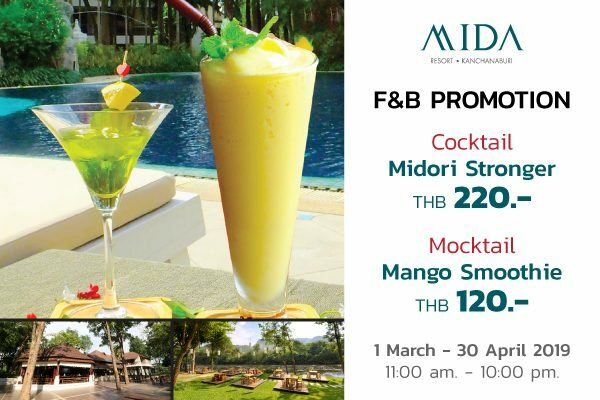 Relax in the comfortable mood of your room with 3 days 2 nights package. Sip Savor give you any special privileges. 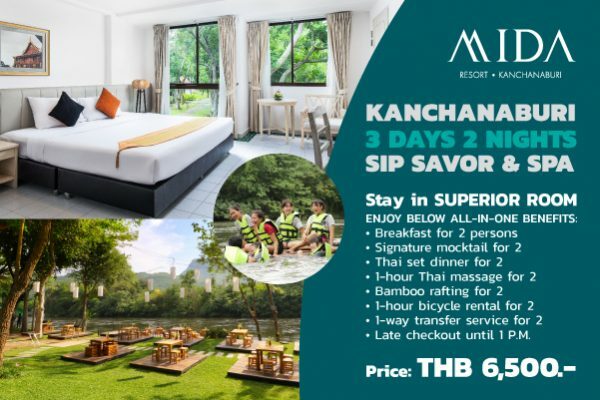 Just stay at Mida Resort Kanchanaburi. – This offer is not exchangeable for Cash. 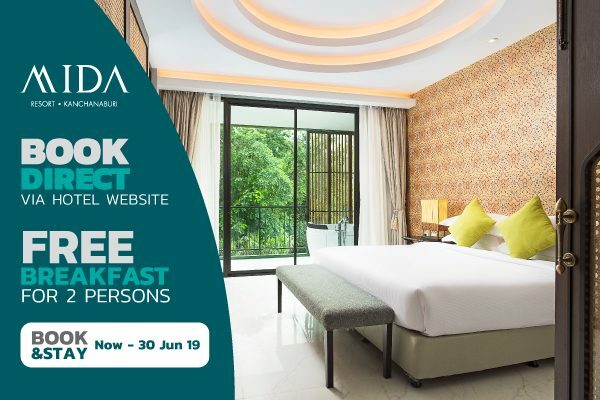 – Round Trip Transfers (Resort – Malika r.e. 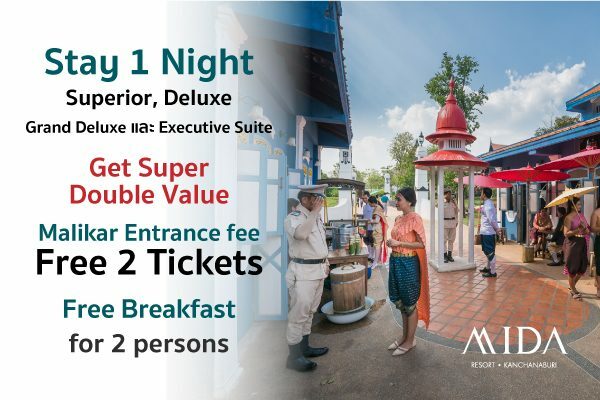 124 – Resort) for 2 persons for THB 600.- ONLY!! 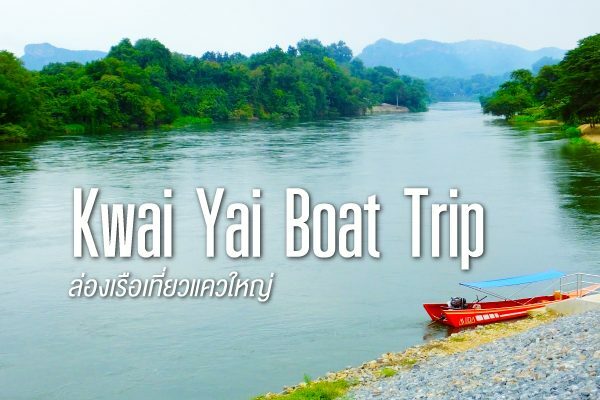 – Boat trip on the River Kwai. The merit-making ceremony at Wat Nang Pim takes about 2.3 hrs. 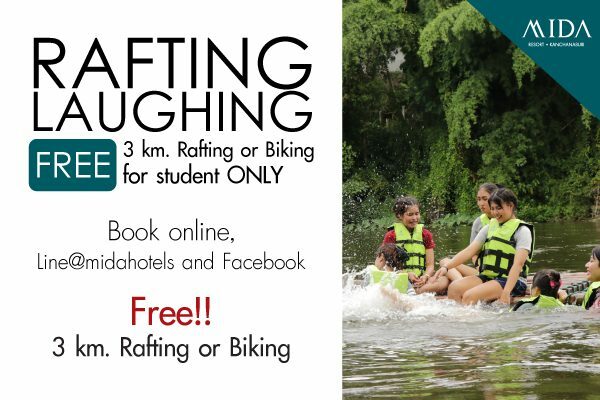 – Enjoy the nature on the River Kwai and the atmosphere in front of Tha Thung Na Dam takes about 1 hrs. 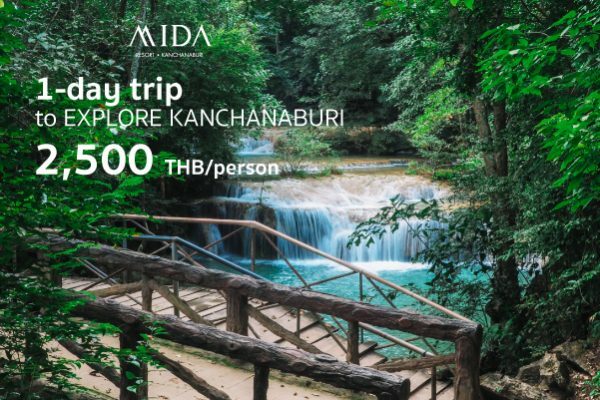 1-day trip to explore Kanchanaburi by train. Bring you to the natural place that you never have seen before.